Australian troops in Libya have been solving the mysteries of Italian cuisine, and making queer dishes of Parmesan cheese, spaghetti, tomato extract, and olive oil from captured enemy stores. Because of water shortage, a soldier was seen bathing in Italian mineral water. —Cable. So turn to da Itala tuck’. When come to da catering biz. For mum’s kinda cooking dey certainly wish. Too mucha da oliva oil. Bat rather have grub from da kitchen at home. 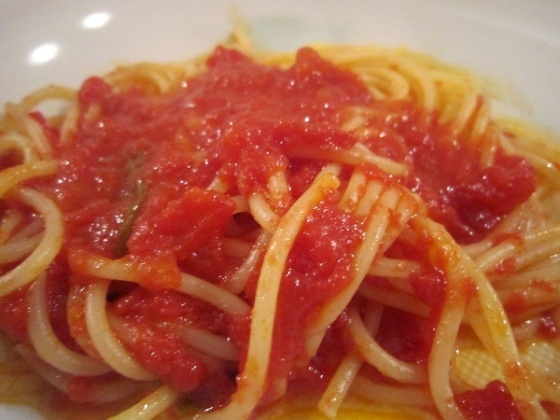 Italian was the most preferred cuisine in Victoria and South Australia. Thai food was No. 1 in NSW. For all other states and territories, Chinese was either top or equal top. Australian, English or traditional food came in fifth at 13 per cent, after Indian, Sri Lankan or Pakistani food at 17 per cent. It did take 68 years, a World War and an immigration boom, but Australians these days, in the words of eloquent poet Antonio di Seebee, no longer “rather have grub from da kitchen at home”. “Dago Tucker.” The Mail, 8 February, 1941, 7. Cauchi, Stephen, “Italian fare to the fore in time of fiscal crisis.” The Age, April 26, 2009, 13.